Margaret Thatcher ‘would not be the slightest bit upset’ by the controversy generated by her death and modern Britain needs a dash of her resolve, William Hague said last night. The Foreign Secretary paid tribute as a ICM poll for the Guardian showed the Tories would soar to 40 per cent in the polls if Lady Thatcher were still its leader. 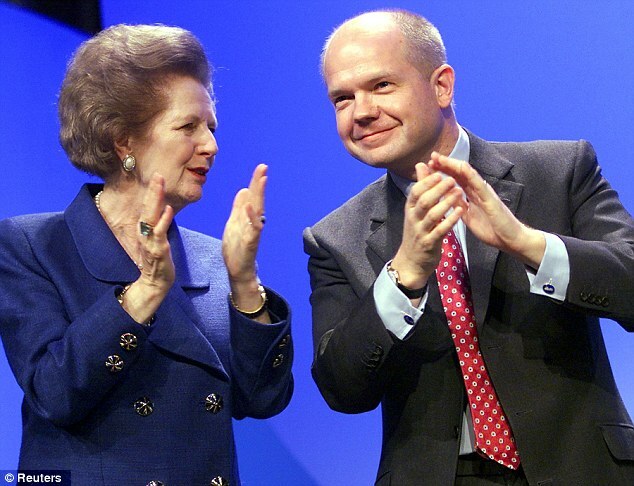 Devoting his entire annual speech at the Lord Mayor’s Easter Banquet to her memory, Mr Hague suggested the Tories needed to show Thatcherite determination on issues ranging from reform of public services to tax rates and Britain’s future in Europe.